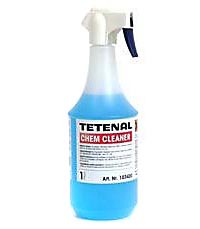 Tetenal Chem Cleaner is a superb product for the removal of stains caused by photographic chemicals, both black and white and colour. Ideal for cleaning developing dishes, slot processors, roller transport processors, Paterson tanks etc. 1L with spray attachment. Lasts well.